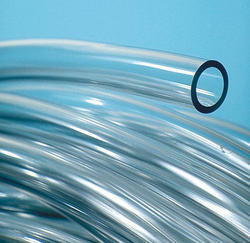 We are a leading Manufacturer of fep tubing from Vasai, India. EP tubing is a fluro polymer tubing. Its transparent and can withstand upto 180 degree celcius. Its is also chemically inert and provides fantastic heat and electrical insulation. Looking for FEP Tubing ?